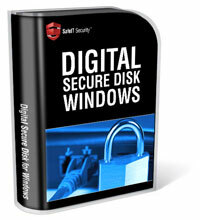 Digital Secure Disk - The perfect solution for protecting your sensitive information from theft or other attacks. The program makes a part of your current hard disk into a secure disk. Disk Space Analyzer generates chart showing disk usage distribution according folders and files. Apple Mac disk recovery software is an able Mac disk data recovery tool to recover & restore lost files from corrupt or formatted Mac file system (HFS & HFS+) of Mac based hard drive. Software quickly restores lost partition from Mac hard disk drive. Fast clone hard disk, partition of fixed disk, floppy disk, flash memory. Repair bad hard disk, partition of fixed disk, floppy disk, flash memory, CD or DVD. Backup and restore information. The Disk Performance Analyser for Networks is a stand-alone utility that detects and reports fragmentation-related performance loss on networked systems. It provides this never before available, easy to use functionality all from a single location. Hard disk and SSD health and temperature monitoring application designed to prevent data loss. The Enterprise server solution allows monitoring disk details of remote hosts from a centralized administration console. Free demo is available. Spot all the big files and folders, no matter how deeply they are located inside the folders, with a zoomable disk space usage map. Now you are only a click away from deleting all the unused files! No waiting, the processing is done in background. WinUtilities Disk Cleaner securely clears obsolete/junk files, duplicate files and broken shortcuts from your computer. By clearing out these unwanted files WinUtilities Disk Cleaner can help you utilize your amount of available hard drive space. Floppy Zip Disk Rescue is an easy-to-use tool to rescue corrupt file from Floppy disk and ZIP disk or other peripheral devices. HD Fit is a simple tool that performs a test on the hard disk surface and allows you to determine what could be the reason of slowliness, data loss or malfunctioning of the disk drive. Disk Cleaner is an utility for cleaning disks from information that clogs your system and reduces the performance of your computer. with the help of this tool you can search and delete temporary files and folders, search for invalid link. Display hard disk drive and SSD health and temperature information under Linux. Freeware! Space Patrol monitors your disk drives for low disk space settings that you can easily configure for each disk drive on your system. For operating systems that have their own (non-configurable) low-disk space notification mechanisms. Lazesoft Disk Image & Clone Home Edition - Fastly, safely, upgrade your hard disk, backup your disk or partition. Free bootable CD to clone your entire hard disk, backup or restore your hard disk on offline easy and safely. SBMAV Disk Cleaner is a comprehensive cleanup solution designed to free up hard disk removing temporary files and duplicates, and boost performance, allowing you to configure startup programs and easily uninstall unnecessary software. Rohos Disk program creates hidden and protected partitions on the computer or USB flash drive. Those who has megabytes of sensitive files and seriously concerned with data security, cannot imagine their e-work without the secure partition. Disk Piecharter for Windows is a Graphical Disk Explorer that shows disk usage per file and per directory in a piechart. You can zoom in and out on piechart segments (directories). You can also delete files and directory trees with it. Netwrix Disk Space Monitor is a free tool to automatically alert administrators when disk space falls below certain threshold on one or more servers. The tool monitors multiple servers for free disk space and sends alerts by e-mail. Fast, powerful, and customizable utility for cleaning up unwanted files and folders from your PC, restoring disk space, keeping your system running smoother, faster, and maintaining your privacy.